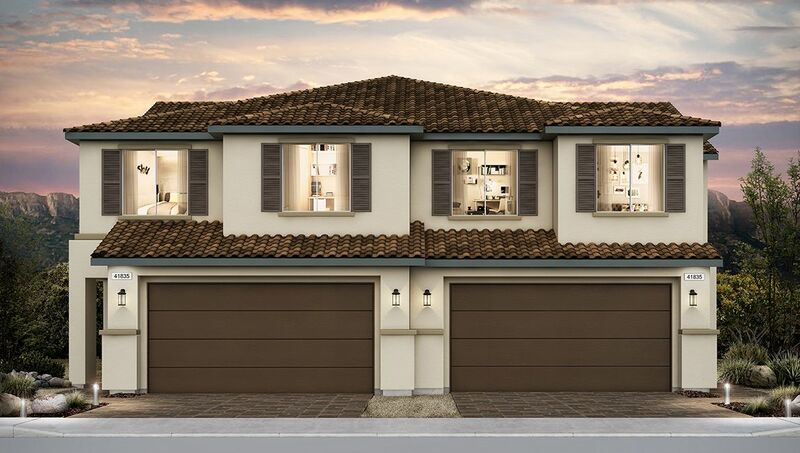 New construction townhomes at Mesa Verde feature 4 two-story floor plans ranging from 1,775 to 2,325 square feet. Residents will love all of the details that make your house a home at Mesa Verde. Mesa Verde offers carefree living in a gated community ten minutes from the heart of Las Vegas. Embracing a lifestyle centered around family, friends, and fun, this community is full of convenience both inside and out. Perfectly situated in North Las Vegas, Mesa Verde is close to dining, shopping, and entertainment, while still feeling quiet and secluded within the community.